The Garment Rack: Monochrome, Again. 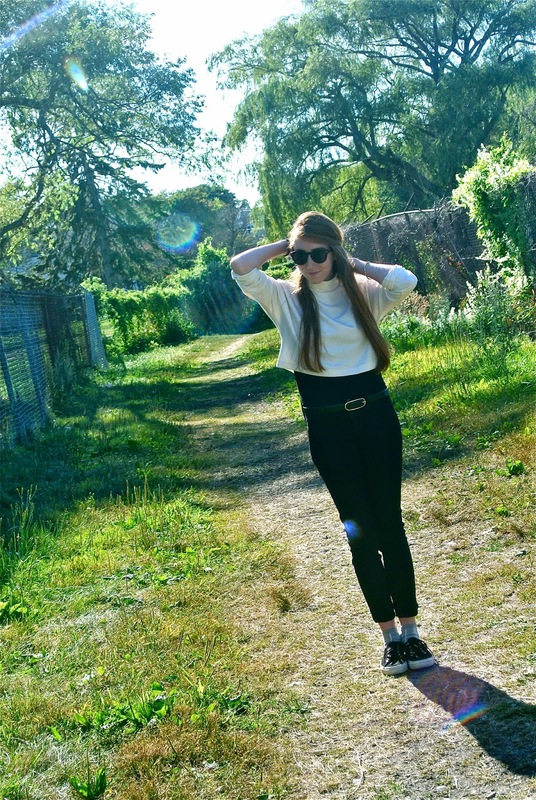 So I have another outfit post today! I don't know what's up with me lately, but I've been loving monochrome looks. I seriously can't stay away from black and white! I love putting together fall looks, so it's been a sort of a pain shooting them in 75 degree weather, but I seriously can't wait to cozy up in a big sweater and some boots! What are you looking forward to most for fall? How would you style a cropped turtleneck like this one?